This has been a really busy week, more busy than normal, hence why it has taken me a little longer to write than usual. At the moment we are in the midst of massive snow storm here in Nova Scotia, so I decided to just relax and write. Just in case the power decides to go out, which it may because of the high winds. This storm has been talked about for days and I took the opportunity to get prepared, I spent yesterday, shopping, doing all the laundry, dishes, cooking and cleaning.... it feels good that I am organized and cleaned up. As everyone knows who reads my blog, I have decided to come out of my comfort zone on many levels. The first thing I did was I attended a Valentine dance on Friday night, yes I knew people that were there but I did not go with anyone, I went on my own. I had some fun and danced a little, I just don't want to be the girl who comes home on Friday night and does nothing... That is not fun to me, that will not help me to move forward... I needed to make some changes and I am grateful I have. 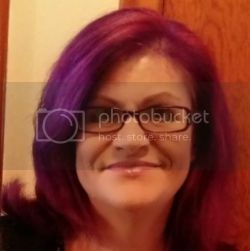 I am also not a girl who likes having my picture taken, believe me I have been known to flip out if someone takes my picture and I am not ready... as well I always want to have the last say to which ones are shown. I used to be so adept at ducking pictures ... 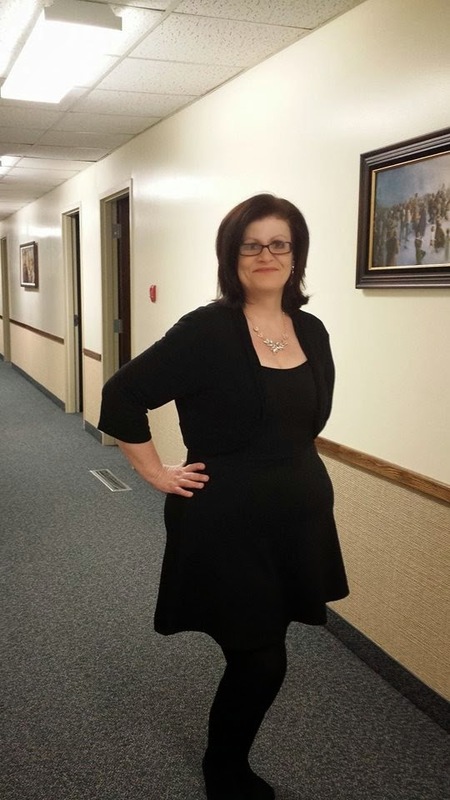 I have ones at work where you can only see my hair... lol... and never a full length picture. Finally, I have changed that part of myself and I am allowing more pictures to be taken, even though I am not at what I consider to be my 'perfect' weight. I decided that if I waited for that, I might never have my picture taken. I want my children and grandchildren to have memories of me that they can see. 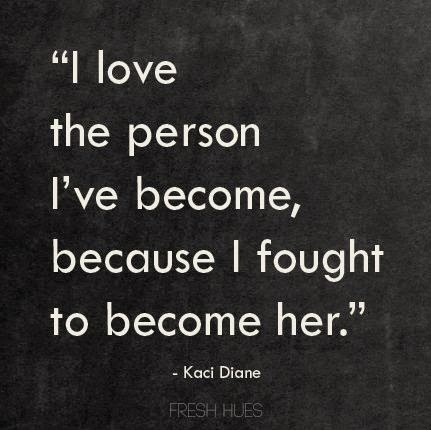 I love that first quote I added above about loving the person I have become as I fought hard to become her. A few short years ago I never would have posed for a full length picture and I most certainly never would have posted it on line... This has been quite the journey I have been on, it all started with me making the decision to change what I was not happy about and sticking with it. Of course there are days I stray as I am human but I won't allow myself to ever give up on me again. I am worthy of the hard work I have put in and I will continue to do this for me. This last quote resonated with me as it is very true, we are all more alike than we realize... we have our differences that make us unique but truthfully we all have had tragedies, love, happiness, sadness... Sometimes it is hard to see that we have had good when we feel like the hard times outweigh them. Do you know what writing has done for me? It makes me see that I have had some incredibly wonderful and happy times in my life and I know I will again... Of course hard times will come again and I hope that by writing about how I deal with or have dealt with them in the past... it will help me to overcome them with a better outlook. When I first started writing back in July 2009, I never believed so many people would read my words... I wrote more for myself as I had lost me and I wanted to change that, the road was long and it was pretty difficult. There were times I wondered if I would make it through but I have and I changed so many things that I never even thought I could. That is why I continue to write, I know that by writing I have grown beyond anything I ever thought possible, I have come to know so many people in the world and saw just how alike we really are, how much we want to be accepted for who we are and mostly how much we want to be loved, no matter how many mistakes we make. Congratulations, my friend! Have a nice week! Your picture looks great! Nobody would even dream that you are camera shy and you look so elegant in your black ensemble. Yes, a woman of substance it says! And, it is absolutely true that one only grows emotionally and spiritually if one ventures beyond the usual and the familiar. Adventures can be daunting and challenging but they can also, as you have found, be fun! You were very brave going to the Valentine dance on your own but,once done, then it is onwards and upwards over the next hurdle. Your posts sound so very different these days. So much more positive and anticipating the future with a degree of excitement rather than foreboding. That is all to the good! That is a wonderful quote, Launna! 'I love the person I've become because I fought to become her.' I feel the exact same way. It has been a long and hard journey to get where I am today and now I wouldn't want it any different and really love me for being me which hasn't been the case for most of my life. I'm always so incredibly impressed by how much you've grown and how much you're willing to grow! Look at that gorgeous pictures of you. So so beautiful, inside and out! I'm so proud of you you get your picture taken now and that you went to that dance and had fun :) That is amazing! That second quote is wonderful and very very true as well. Thank you for always being so open and share your thoughts with us because I am sure we all feel the same in one way or another and it feels so good to know we are not alone. You looking lovely, Launna...just as your smile....so never stop smiling and improving your life. What you have mentioned about writing.....resonates with me too! I have added a value, a purpose and a friend - in the form of words and writing. Sometimes, even I feel surprised by looking back-that how far I have come-all by myself. Love the quotes-specially the second one! True! We all have been there sometimes or the other; but learning the hard way have made us a different and strong person-who we are today. All The Best in Being The New You! So happy to hear that! You really have fought hard and all of us are proud of you -- more importantly YOU are proud of you and you should be. Love the picture! Wow, I am so proud of you. I love hearing that you love the person that you've become! So positive! :-) You also look really great on that picture! You are shining! I love this inspiring post. Thanks for sharing. I loved this post! Hope the snowstorm isn't as bad as predicted. Just sitting here wishing for spring!! You look great. You're doing such a great job! I'm glad you got out and went to the dance. It definitely takes courage to get out there on your own but I've found you always end up glad you did it! Ciao Launna, sono felice di incontrarti nel blog! Great post! Aquela máscara deixa os cílios bonitos e naturais. Estou amando! Fico feliz em ler que você está mudando pra melhor. Tem que ser assim! Faça sempre o que te faz bem. Isso vai ajudar na sua mente, alma e coração. Você deveria gostar de tirar fotos, porque sai muito bem! Ficou lindíssima nessa imagem. Lovely photo of you - and lovely post. 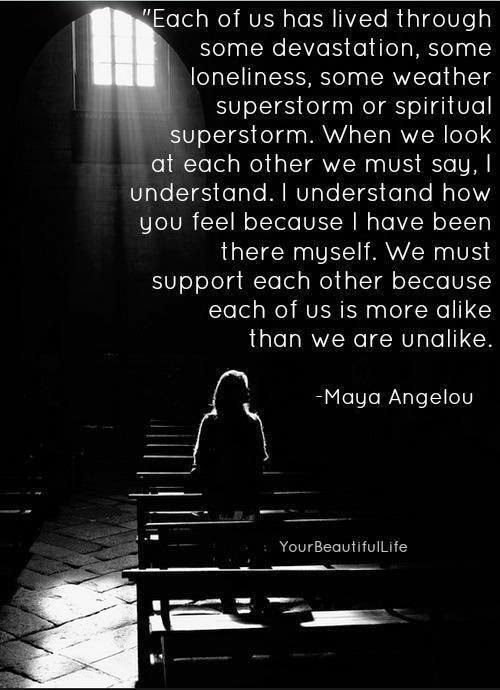 What a beautiful quote from Maya Angelou - thank you for sharing it. I needed to smile at the end of this very long weekend. I love your positive outlook - you always inspire me. Hope you do okay with the snowstorm - sounds like you're prepared! You looked so lovely, Launna! I love that quote and I am very proud of you always. Also love this beautiful picture of you I have seen around a little lately. I love your dress and you look beautiful! Hope you had a great time at the party! I'm glad you had a good time at your dance. was thinking about you over the weekend (while not going dancing myself despite the best intentions). and you are right. be proud of who you become and keep in mind that none of this is permanent and that there will be ups as well as downs (but I'm sure you know that already). Good for you for going to the Valentine's dance! You look amazing in that picture - what a transformation over the last couple of years! You look absolutely beautiful in your full length picture, and you should be very proud of yourself for living outside of your comfort zone. That's what I've been doing too, and I'm having so much fun with it! Very happy for you, the way you have faced your hardships and come out stronger..
You are doing a great job My friend, you look fab in the second pic!!!!!!! I loved the first quote Luanna, as the rest of the post! I'm a very shy person n front of camera too, so often I came up with funny faces! Being a fashion blogger I'm being used at it but I definitely still like much more to stay behind the camera! Anyway you look very good on that photo, a very classy and elegant woman! Yes I really love that first quote. And that picture of you is very pretty. I saw it on FB. You are looking wonderful. Definitely take more pictures. Good point - for children and grandchildren! I'm so happy for you that you've danced! I'm a shy person and in the same time have difficulties to dance like I do in my heart and my head. I love that you are making such positive changes in your life. Going to the dance by yourself sounds like it was a little scary at first, but you did it and you got out on a Friday night! Awesome! Dancing is also lots of fun and good exercise. I also think the picture of you looks fabulous. I am glad you decided to take a full length picture because you look beautiful and there is no reason to not get a full length picture taken. Bravo to you! I especially love your first quote. So wonderful and true! I absolutely love the quote because it's so true and so inspiring at he same time. You looks gorgeous Launna. I agree with that quote. At my age, I love myself a bit more every day. No matter what other people say. That LBD looks great on you. Hope to see more pictures of you. With each post I can see a stronger, happier and more confident Launna! You're doing such an amazing job and you are an example to any woman who is going through a difficult time. You are certainly having a lot of snow - but perhaps it helped in some strange way to get the chores done. Glad to hear you were able to get to the dance though. Congratulations Launna, so many great changes. I know what you mean about the picture thing. I would totally want to see how they came out when I was in a group shot, especially if I knew they would be posted. It's hard not be critical of myself, but I have also learned to love myself more now than ever. Can't wait to see what other exciting changes you make! Have a Lovely da y darling! Love your quotes! Wonderful outfit too! Great to see you moving forward ...in spite of all this cold weather, etc. All the best! & keep writing too! How is with your Fitbit? I try every day to take a rest, but it seems impossible, partly because of my job and kids, partly because I think I'm changing inside. Deeply. Will my husband understand it? A big hug from Italy!!! Super cute picture, Launa. Way to get out and be social. One step at a time, eh? How cool you went to a valentine dance on your own! You look great Launna. When you make plans to ever travel to this end..trust you me we are definitely going dancing and having a gazillion pics taken!!! I love that you're stepping out of your comfort zone and having fun. That's how growth happens and it's one of the things I'm doing at the moment too. Lovely post.so glad you prepped before the storm. Sometimes it is nice to just have to be indoors and catch up on things. So nice you got out and went to the dance and enjoyed your night! Wonderful you keep pushing forward! You're such an amazing lady, congrats on being brave and stepping out of your comfort area! Aww that's such an inspiring post ! Thank you my dear for scharing it. oh my! I'm so happy and proud of you Launna! :) I already see this strong brave gorgeous woman finally posted a full length photo. You look wonderful and happy in the photo Launna, I certainly am happy for the positive changes in you. Congratulations for finally loving yourself more and stepping out of your comfort zone. I hope you and your family is okay during the storm . Keep safe and God Bless you ! your posts always inspire to me! I'm glad listening about the party you attended and you look so pretty with that LBD. you look absolutely amazing Launna! :) I'm so happy you stepped out of your comfort zone and you had this picture taken! You're so beautiful! Lovely post my Dear..so inspiring!